In this blog you will find out how you and your business can benefit from the broad range of business podcasts iTUNES has to offer. ITUNES forts began as a music management program but today it is a useful tool for enterprises and employees. It has many dual-use applications that can be very helpful in the workplace. iOS devices are perfect for the workplace with an all-inclusive approach to security and simplified deployment. It’s powerful apps are everything you and your workplace needs for game-changing productivity. Equip your team with the software that manages audio and video media because these days it is a popular marketing network such as Google+ Hangouts. Download the company podcasts. You can then keep in the loop and get to know your competitors and even share tips and tricks with other companies. With iTUNES bring completely free, you won’t have to dip into your budget and with it being connected to iOS devices (iPhone, iPad, iPod Touch) you can your team can network on the go. iTUNES is the only program that can handle operating system upgrades while managing apps at the same time. This will come in handy working with business podcasts on a daily basis. 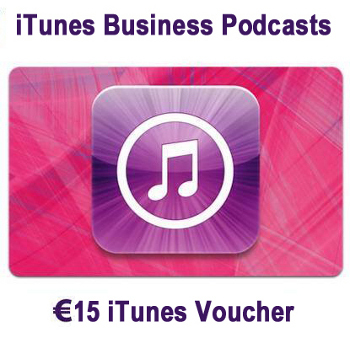 iTUNES has a wide range of business content which will help your employees improve their performance. This can be audio books or even online courses that are provided on iTUNES U app. Make your passwords unique. For third- party app data protection, use methods that power the users passcode to create a strong and unique encryption key. Data protection provides IT with peace of mind and is secured without additional configuration. With all third-party apps, protection is enabled automatically so you don’t have to worry about your information being secure. Update to iOS 7. For your iPhone, iPad and iPod touch devices, upgrade them with the latest software provided by Apple. The new design and use of systemwide gestures make mail easier to use than ever. The new feature has the ability to add and recognize PDF annotations which makes it a killer app for your business.